Breakfast is easily my favorite meal of the day. Every night I go to bed dreaming about what simple, quick, and delicious meal I can throw together as soon as I wake up. For all of you out there who are not so culinary-inclined like myself...I hope these easy meals provide a little inspiration for your morning munchies. This simple breakfast is inspired by one of my favorite restaurants in Cincinnati, Ohio called Maplewood Kitchen and Bar. I was a little skeptical of the combination when I first read the menu description...but HOLY MOLY. The flavor and texture contrasts are on point. For the sweet honey topping, I have been using this Oregon-based brand called Bee Local; the flavor is so rich and decadent. And with my allergies having been a little out of control this season, I'm loading up on all the local honey I can get to boost up my immune system. Oh this heavenly slice of goodness...let me just tell you, I have been eating this peanut butter toast nearly every morning. With all of the textures you could want - from creamy peanut butter to crunchy cocoa nibs to crispy sprouted grain toast to perfectly ripe banana slices - this toast has it all. 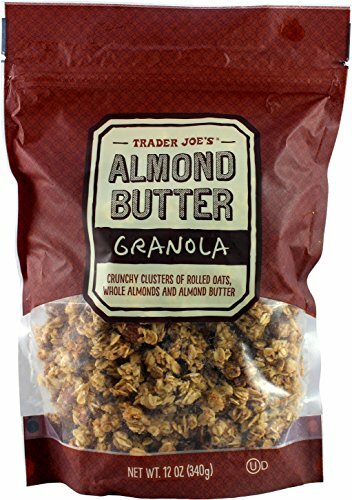 And this Almond Butter Granola from Trader Joe's just makes the whole breakfast. If you've never put granola on your toast, do it NOW. Breakfast tacos seem to be the rage among the blogger community, and I am hopping on that bandwagon after making these BOMB tacos this past weekend. Eggs and avocado are one of my go-to pairings; so when you put them on top of some Siete Foods' tortillas, you are in business, baby. These grain-free, cassava and coconut flour tortillas hold together so well and have a subtle, nutty flavor I just cannot get enough off. Please note that some of the links above are affiliate links, and I will earn a small commission if you purchase any of the specified products through these links. I only promote products that I love and use often!